My family is rearranging. Instead of going home to Montana for the holidays this year, I’m going to Charleston. Pretty different, right?! I’m doing my best to be a grown-up and focus on the inevitable oysters in my future, but the truth is I’m still trying to wrap my head around a Christmas without snow. Last time I was in Charleston, I caved to my obsession with community cookbooks and picked up Charleston Receipts. Published by the Junior League of Charleston, it is the oldest Junior League cookbook in the country. It’s a historical document as much as it’s a cookbook, to say the least. There’s a decent-sized section of drink recipes, including a “Lazy Man’s Old Fashioned,” which I found particularly charming. The Lazy Man’s Old Fashioned is simply a spoonful of orange marmalade, three dashes of angostura bitters, and a finger’s worth of bourbon. To my delight, the original recipe notes that the finger should be measured horizontally, not vertically. 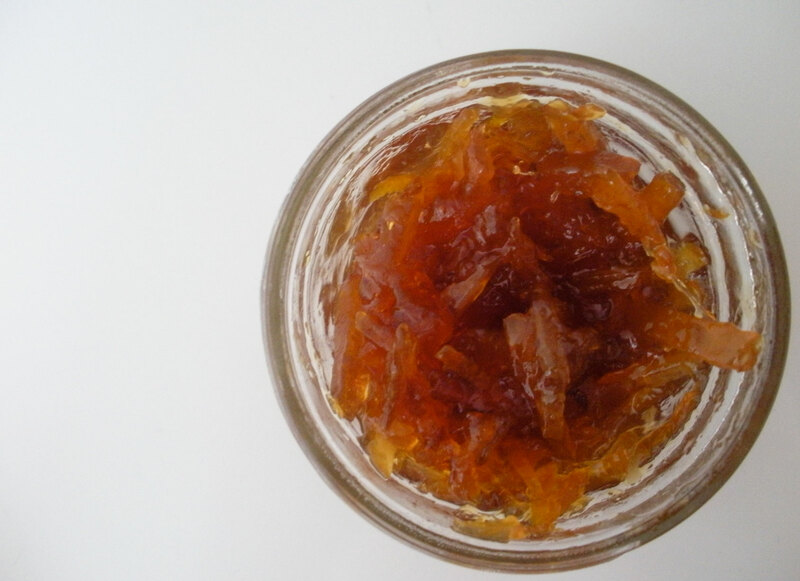 I made it two fingers, used some of Marisa’s three citrus marmalade that I made last winter, and the Lazy Lady’s Marmalade Old Fashioned was born. Initially, I was a little concerned about having chunks of orange peels floating around in my glass, but after one taste of the bourbon-soaked candied orange rind that awaits at the bottom of this drink, my reservations disappeared. 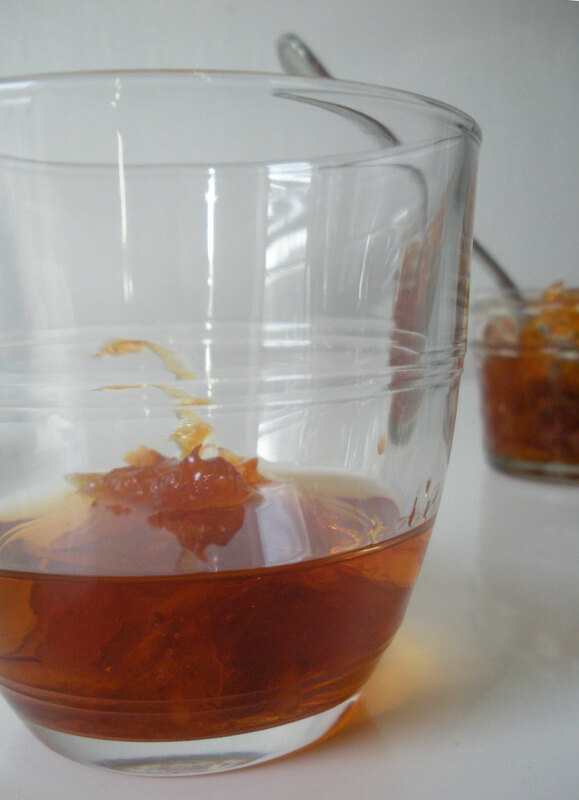 Put the dollop of marmalade in your favorite bourbon glass. Dash 3 dashes of angostura bitters on top of the marmalade. Add two fingers of bourbon and stir. Top with as much ice as you'd like and enjoy. 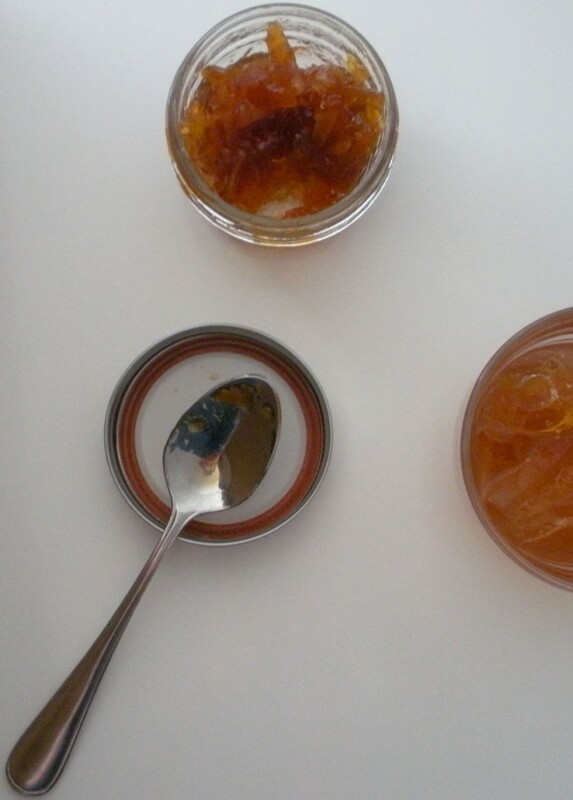 Shae over at Hitchhiking to Heaven to has a great round-up of recipes to use up your marmalade before you start making more, including some more marmalade cocktails. Holy baloney, that looks amazing! I am a bourbon fanatic and always order Old Fashioneds when I’m feeling fancy. And I confess that I’m not a huge fan of marmalade on toast, so this is PERFECT for that jar of marmalade languishing in my fridge! Looks delicious, and enjoy your holidays in sunny Charleston! Thanks so much! I am fond of bourbon too and love to find new ways to make a (successful) cocktail with it. Happy holidays to you too. 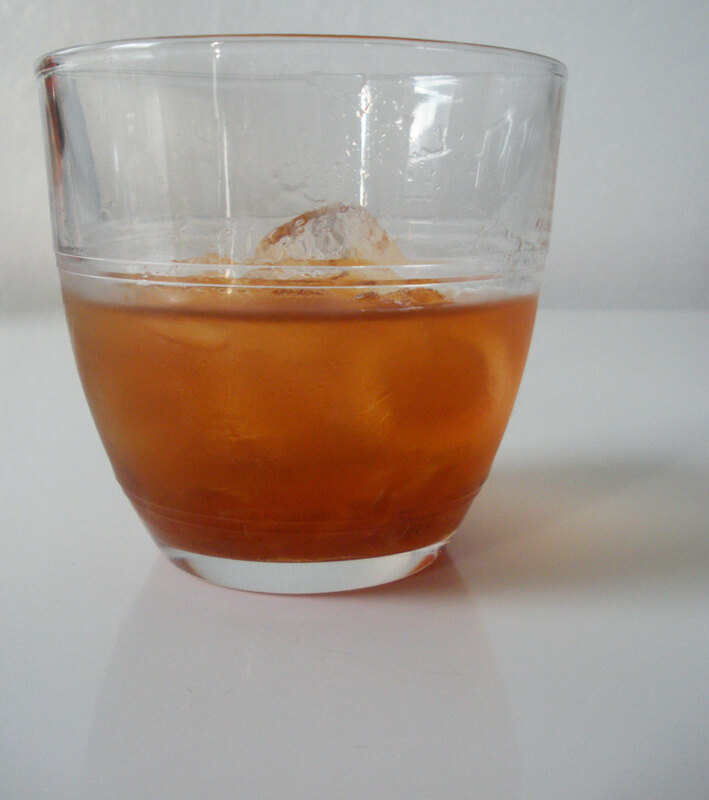 Ok Autumn – tonight I’m cruising gluten-free blogs… and YOURS opens with a cocktail recipe. Between this, and the fact that you describe yourself as having a “lot of old lady in you” I can already tell that I want to be your pal. Of course, I am already certifiably an old lady at 43. 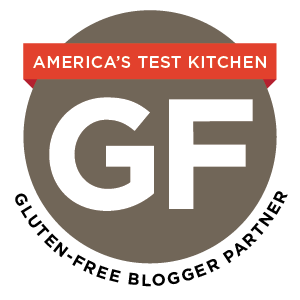 Hope you’ll swing by and check out my gluten free world at the link above… I look forward to keeping an eye on what you’re getting up to! Oh yum! This is kind of genius. You are on a roll with the citrus and cocktails.